New Super Mario Bros 2 Has Been Beaten Coinless! There are some video game challenges you just don’t believe are possible. Whether it’s beating Kaizo Mario World blindfolded, getting through the Pokemon series with a team of 6 Magikarp or beating a Zelda game without using a sword, they just seem like the type of thing only a dedicated nutcase would ever bother with. And now, here’s another one. Basically, someone on Reddit has beaten New Super Mario Bros 2. Without collecting a single coin. Think that’s not crazy? Well, look at it this way. 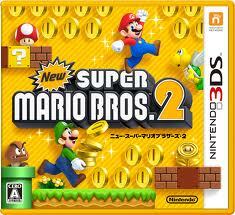 The whole purpose of New Super Mario Bros 2 is to get as much money as possible. It’s literally a game where coins are tossed at you from every angle. Where gold rings turn everything gold. Where the Gold Flower turns Mario into a golden badass that blasts enemies into money by shooting at them. Heck, even the first trailer started with money raining from the sky! So, you think getting a million coins was tough (or extremely tedious)? Well how about following this guy and going for the other extreme? Let’s see if you can beat the whole thing without getting a single coin in the process! …How? I tried this myself, and I could barely beat level 1 coinless, whereas the second level starts you off in a ground-pound headed right into a bunch of (what I presumed to be) unavoidable coin bricks.